Her performance in thriller Elle - which was also named best foreign language film - beat contenders including Natalie Portman, who had been considered the favourite for playing Jackie Kennedy in Jackie. Viola Davis was named best supporting film actress for playing a woman in 1950s Pittsburgh in Fences - a role she first played on Broadway six years ago. Accepting the award, Davis said: "It's not every day that Hollywood thinks of translating a play to screen - it doesn't scream 'moneymaker'. But it does scream art, and it does scream heart." In a surprise result, British actor Aaron Taylor-Johnson was named best supporting actor for his role in Nocturnal Animals - a prize that had been widely expected to go to Mahershala Ali for Moonlight. Zootopia was named best animated feature film at Sunday's ceremony, which was hosted by Jimmy Fallon. The comedian's opening monologue was less risque than those of some of his predecessors, but he still found time to make light of the divisive year in US politics. 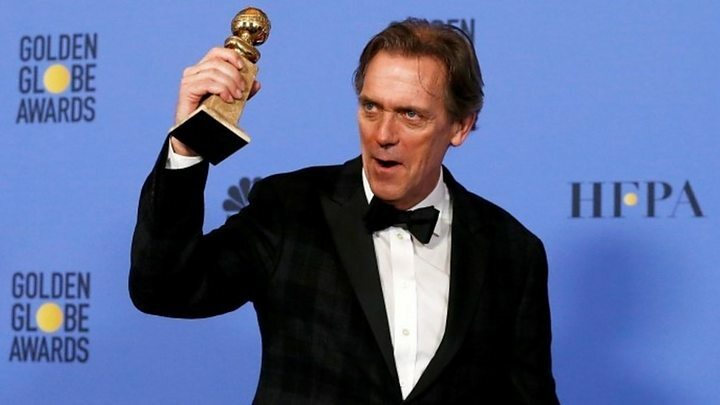 The talk show host joked that the Golden Globes ceremony was "one of the few places left where America still honours the popular vote" - a reference to Donald Trump beating Hillary Clinton in the recent US election despite getting fewer votes overall. He also described grief-stricken film Manchester By The Sea as "the only thing more depressing than 2016". 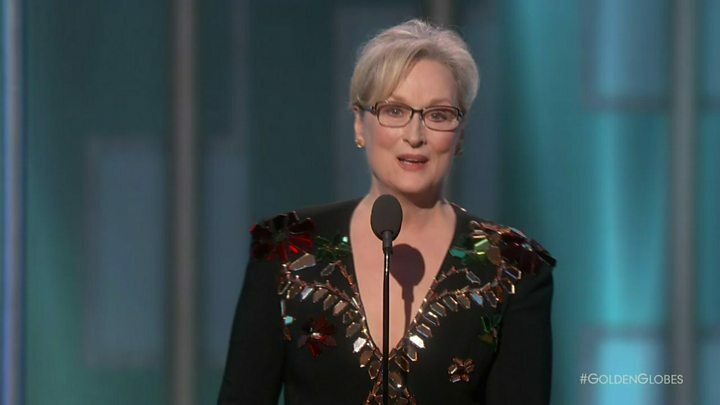 The ceremony featured several references to Mr Trump - not least when Meryl Streep launched an attack on the US President-elect while accepting the Cecil B Demille award for outstanding contribution to entertainment. Streep referred to Trump's mocking of a disabled reporter and said: "Disrespect invites disrespect, violence incites violence. And when the powerful use their position to bully others we all lose." Claire Foy also won best actress in a television series for her portrayal of Queen Elizabeth II in Netflix's The Crown.